While well-paid former spook Christopher Steele was digging for, or creating out of thin air, the nitty gritty on candidate Donald Trump, an unpaid low-level Trump adviser was reportedly doing the same on candidate Hillary Clinton. Special Counsel Robert Mueller disclosed that Papadopoulos pleaded guilty on Oct. 5 to a charge of lying to an FBI agent about his Russia contacts. He has agreed to cooperate with the government in the Russia investigation. Steele, a former British spy, ended up authoring a 35-page unverified dossier on Trump and his associates filled with charges of lawbreaking and collusion. Some of Steele’s charges made their way into the election debate via the Clinton campaign and the news media and has even been referenced by Democratic lawmakers at congressional hearings. Meanwhile, a “statement of offense” filed by Mueller does not say that Papadopoulos ever obtained any dirt on Hillary Clinton. Mueller’s filing says Papadopoulos met with a female Russian national on March 24, 2016, the same month he learned he had become a campaign adviser. He believed she had connections with Russian government and could arrange a meeting with the Trump campaign. That same month, Papadopoulos while traveling in Italy met an unnamed professor with links to the Kremlin. In April, he met with the professor for breakfast at a London hotel. The professor told him he had just returned from Moscow, where operatives told him they had “dirt” on Clinton. “They have thousands” of her emails, the professor said. Mueller’s filing does say whether it’s known that the professor actually possessed any emails. No Trump-Putin meeting happened from these channels during the campaign, the Mueller filing notes. 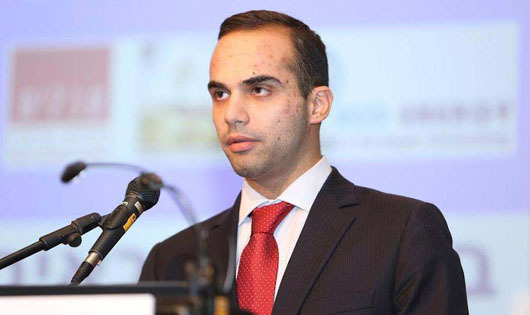 Former Trump campaign officials said Papadopoulos was freelancing without campaign authorization. “I was surprised to learn today what George Papadopoulos was up to during the campaign,” said J.D. Gordon, a Trump campaign national security adviser who worked under then-Sen. Jeff Sessions, who is now the attorney general.